Asia, or Asia is the continent largest and most populous of the Earth, with about 44 million km ² accounting for 8.65% of total land area and 29.45% of land area, and its 4000 million inhabitants, 60% of the human population. Extends over the eastern half of the Northern Hemisphere from the Arctic Ocean, north to the Indian Ocean to the south. Bounded on the west by the Ural Mountains and the east by the Pacific Ocean . In the conventional division of continents, from Europe, Asia and Europe appear as two different entities for cultural and historical. 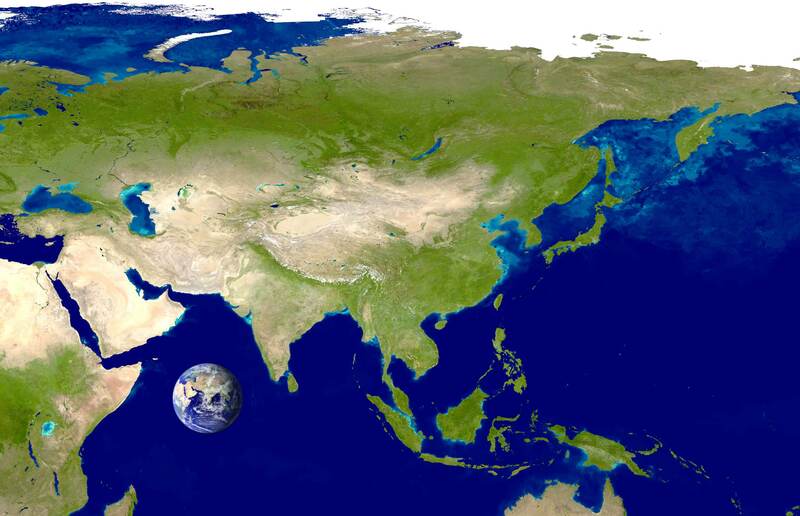 In geographical terms, are actually a single continent called Eurasia. Furthermore, Africa is connected to Eurasia by the Isthmus of Suez so that you can also consider any joint extension of Europe, Asia and Africa as a single supercontinent, called occasionally Eurafrasia, or Afro-Eurasia.